Edit – My mum doesn’t think its my grandfather, it doesn’t look like their house and he didn’t have a 110 before the 112…. 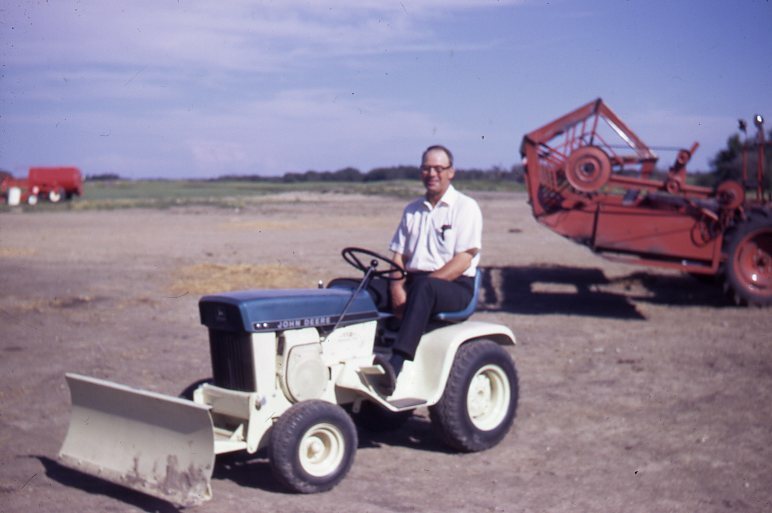 However, sure gives you a good idea of what a 110 looks like in its original habitat in the mid 60s! This is my Great Uncle Charlie, apparently, sometime in the early 70s…. He’s still alive, nearly 100 years old apparently, so I’ve sent this picture on to his sons to show him…. I asked about the tractor, but they think its long gone. Sure would be a showpiece to have today! 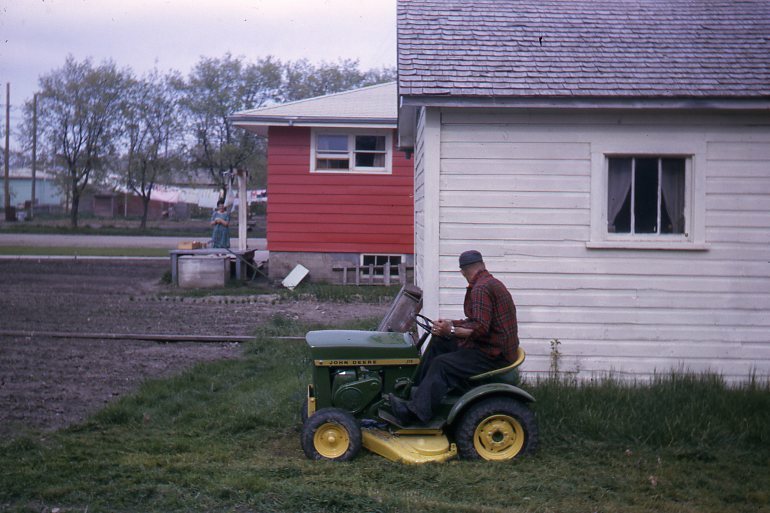 This entry was posted in Uncategorized and tagged family photos, John Deere tractor 110, Uncle Charlie. Bookmark the permalink.